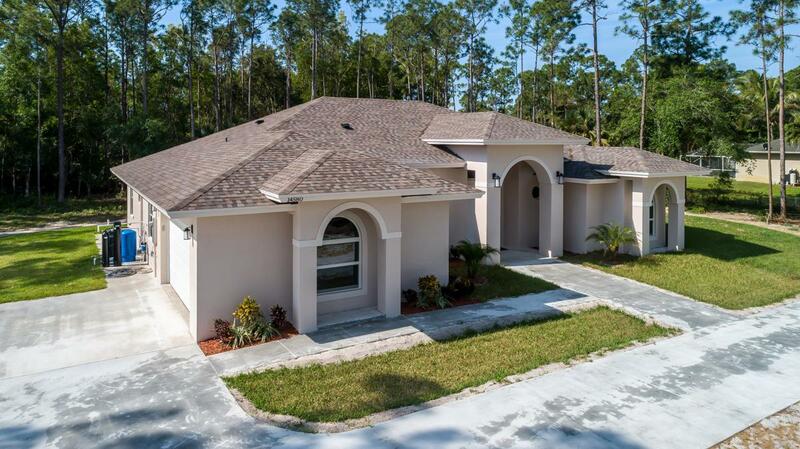 Gorgeous brand new home with high-end upgrades throughout. 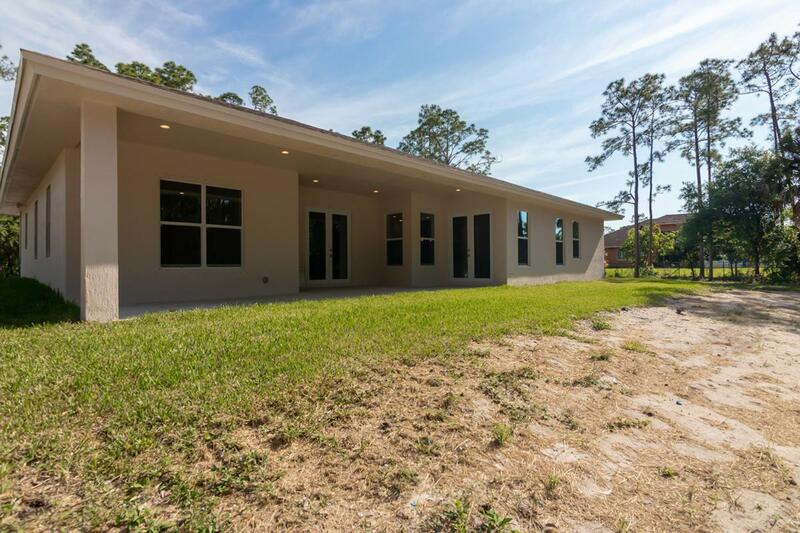 Stunning home boast 24'' porcelain polished tile in every room, quartzite for all countertops, modern fixtures, hurricane impact front windows & French doors, stainless steel appliances, large master suite with striking statement piece soaking tub, walk-in closets, & dual vanities. There is plenty of space to enjoy - living room, dining room, family room, breakfast nook, large covered back patio. Dining room can be used as a den/office or converted to a 4th bedroom. 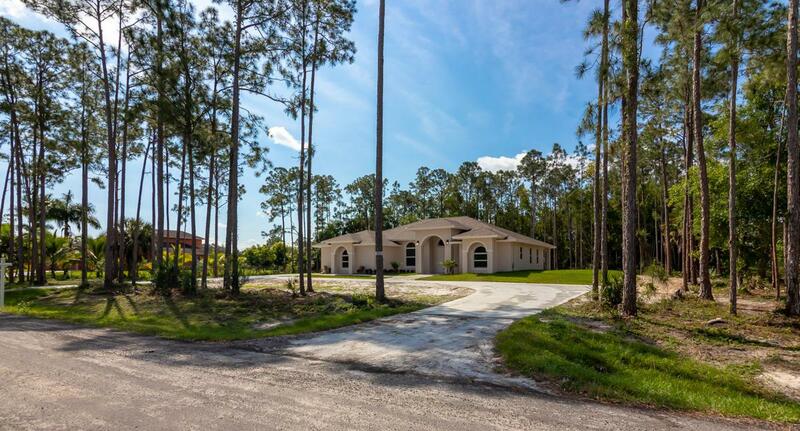 Get the peace of Loxahatchee with a convenient location - less than two miles to shopping, restaurants, banks, etc. Multiple ways to access the property via Grapeview. No HOA and plenty of parking for all your toys! Won't last.